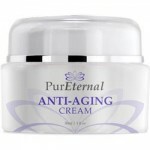 Murad Wrinkle Reducer Review: Is It a Good Anti-Aging Skin Care? Murad Intensive Wrinkle Reducer is marketed as a dramatically effective anti-aging treatment. 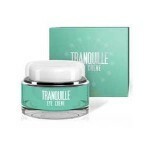 This product is meant to reduce the look of fine lines and wrinkles, while noticeably improving the skin’s firmness. Fine lines and wrinkles are frustrating enough, but a loss of firmness in the skin might be the hardest to treat. There are plenty of resurfacing treatments out there that can reverse the look of fine lines and wrinkles, but they often cause irritation and can’t do much when it comes to the loss of firmness. Murad Intensive Wrinkle Reducer uses proven ingredients to address all of these issues at once. Murad Intensive Wrinkle Reducer uses its anti-aging GlycoNutrient Complex to instantly deliver plumping, hydrating results within minutes. This product doesn’t just deliver instant, fleeting results, however. It also intensely penetrates the skin, amps up hydration levels, and provides resurfacing benefits without causing irritation. For best results, apply Murad Intensive Wrinkle Reducer after cleansing and toning the skin. 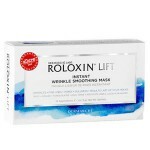 Gently smooth the product onto trouble spots on the face, neck, and chest area. 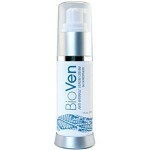 For optimum anti-aging results, be sure to follow up with a moisturizer and SPF of at least 30 during the day. 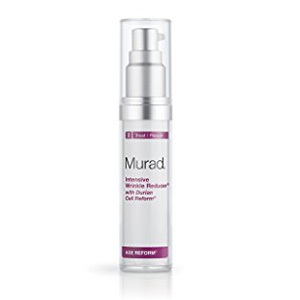 Murad Intensive Wrinkle Reducer is available on its own website for $150.00 per 1.0 fl oz of product. Durian Cell Reform: This ingredient is used for its antioxidants, anti-inflammatory benefits, and hydrating benefits. AHA: This ingredient reverses the look of fine lines and wrinkles. Murad is a well-known skincare brand in the beauty industry. 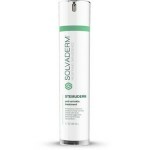 This anti-aging treatment contains many skin-healthy ingredients and anti-oxidants to reduce irritation. This product is prohibitively expensive. The ingredient list contains several fragrant ingredients, which may cause irritation. Customers claim this product caused irritation and sensitivity. Murad Intensive Wrinkle Reducer is, admittedly, packed with proven anti-aging ingredients, antioxidants, and several anti-irritants. Unfortunately, this product is not without its issues. 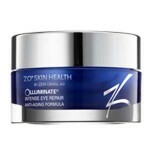 This anti-aging treatment contains cinnamon bark extract and other fragrant ingredients. On top of the already potentially irritating anti-aging ingredients, these fragrant ingredients may cause adverse reactions on the skin. Additionally, the price of this product is simply unjustifiable. $150.00 for an AHA treatment is out of the question for anyone on a budget, especially considering the fact that there are so many anti-aging treatments out there for a fraction of the cost that contains many of the same ingredients. We’d recommend continuing your search for an anti-aging treatment that does not contain any unnecessary, fragrant ingredients and fits your budget. Murad Intensive Wrinkle Reducer is available on its own website and several other well-known skincare websites. If, for any reason, you are not happy with your purchase, these websites do have reasonable return policies. Simply return the product within 30 days with the original receipt and you will receive your money back or an exchange.